If we hadn’t been given the assessment capabilities from IO Education, we would not have been able to program an entire school to give our students targeted tutoring. No more generic review; now it is targeted review where the students are deficient. That is an exciting thing. We have used assessments by IO Education since 2002 and would not change assessment vendors. I have seen what is offered by others and have not seen anything else that would tempt me to consider changing. We work directly with IO Education to improve the product to meet new needs as they arise. I cannot give a higher recommendation. I wanted to take a minute and let you know how much I appreciate all of your effort to support Spokane as we transition to using IO Assessment. The whole team at Spokane has been extremely impressed with the product, but more than that, very impressed and appreciative with the team at IO Education. I look forward to our continued work together. With IO Education, our student intervention process has become simple, effective, and very efficient. 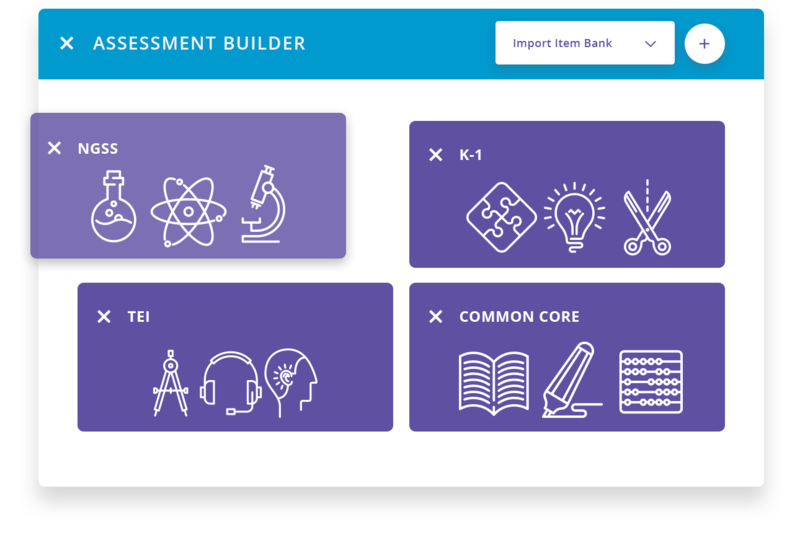 Create, deliver, score and analyze a wide variety of assessments, including diagnostic, formative, interim / benchmark, summative, and physical fitness. Assessments should inform instruction. 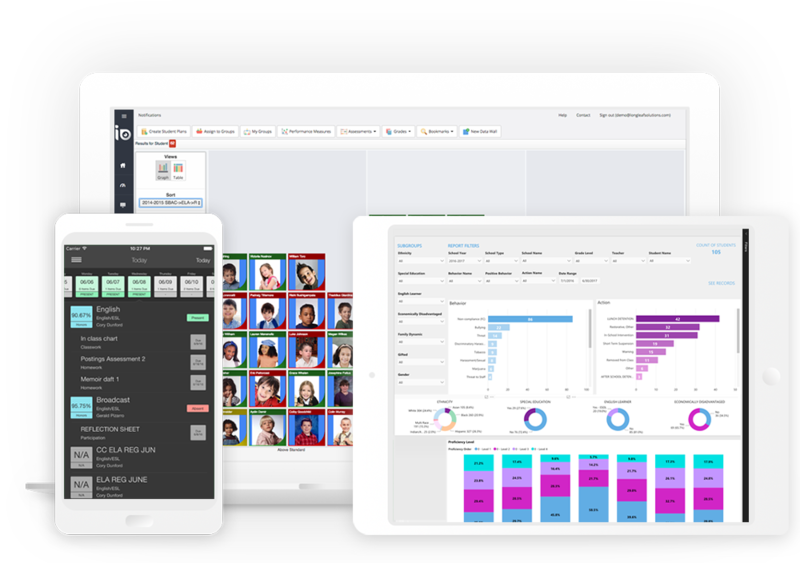 With role-based dashboards, reports and the Virtual Data Wall™, IO Education’s assessment solution generates the insights you need and the ability to take action. 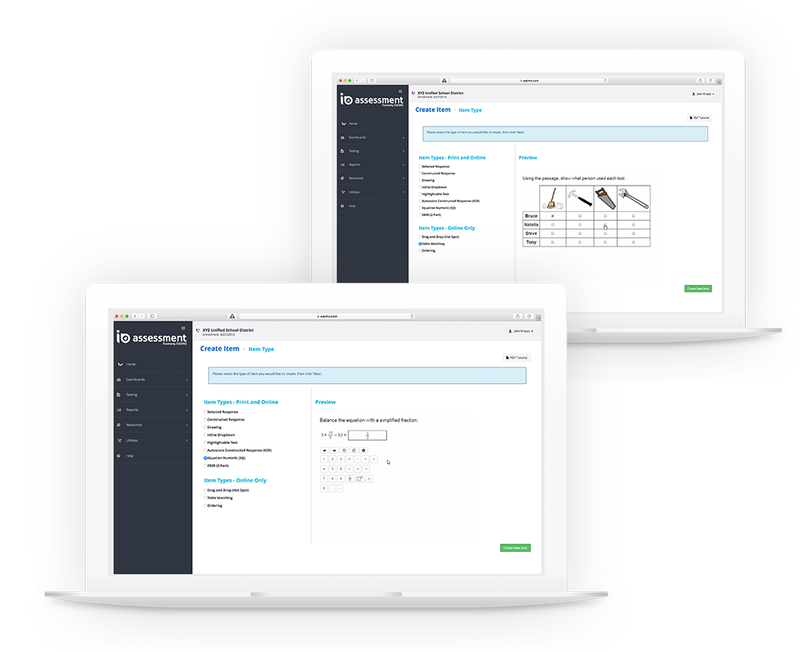 With access to over 100,000 standard-aligned items and the ability to create your own custom questions, IO Education provides the tools and flexibility to help with Common Core, NGSS, or state-specific standards. Learn more how assessments and data visualization help you to meet your goals. Our implementation specialists are trained to listen. They are committed to each user and his or her students. With hundreds of successful implementations nationwide, we understand a personalized approach helps each district and school make a seamless transition to new systems. For any new project or initiative to be successful, the right information must be communicated, and all users must feel confident. Our trainers provide personalized training to empower every educator, regardless of their experience level and comfort with technology. Our support starts on Day 1 of every new partnership. We are committed to providing the highest level of support to all users at all times. Our Help Desk is available Monday-Friday, and all email and phone inquiries receive responses within 24 hours. We value our clients and thank them by supporting them, always. Learn how assessments & data visualizations help you meet goals.